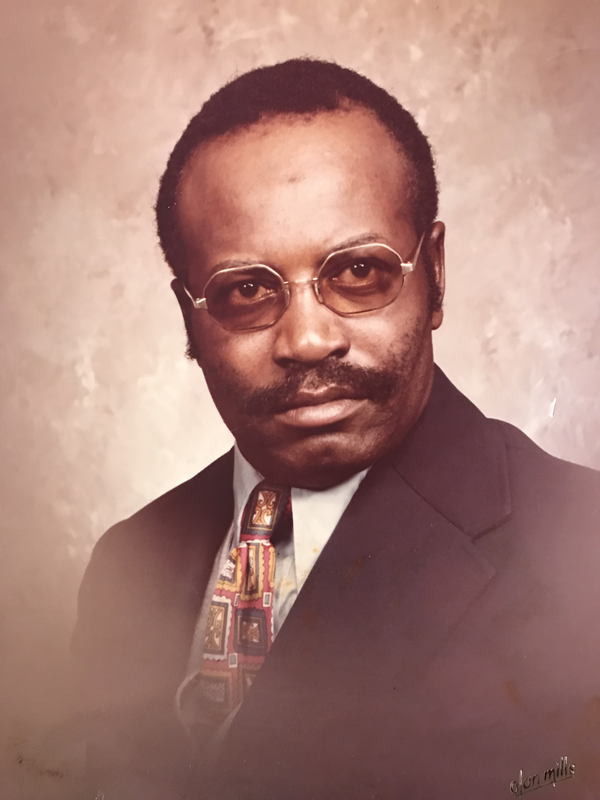 Earl Stephenson, Sr., son of the late Hugh and Sarah Hill Stephenson departed this life February 9, 2019 in Portsmouth, Virginia. Earl accepted the Lord at an early age in Macedonia A.M.E. Church in Severn, North Carolina and later joined Emanuel A.M.E. Church in Portsmouth, Virginia. At Emanuel, he was affiliated with several ministries: Trustee, Steward Board and Transportation of the church. He received an Associate Degree from Old Dominion University and a Bachelor of Science (B.S.) from Norfolk State University where he was involved in advanced studies in Urban Affairs. Earl taught electronics for a brief period in the Hampton Public School System. He retired from the Naval Reserve and was an active flight engineer as well as a helicopter pilot. Later, Earl retired from the Civil Service as an aircraft electronics analyst. He was involved in various community activities including membership in the Industrial Education Society, NAS NORVA Flight Club and served as President of Stephenson Enterprise an electronics business consortium. He leaves to cherish his memory: his devoted wife of 60 years, Ernell D. Stephenson; a son, Earl Stephenson, Jr., M.D., D.D.S. ; a daughter-in-law, Regina Cannon, Esq. ; a daughter, Sharon La Dawn Stephenson; and granddaughters: Taylor Diane Stephenson and Olivia Nicole Stephenson. Sisters: Evelyn Warren of Petersburg, VA, Margaret Jenkins (Herman) of Douglaston, N.Y. and Rosaline Diane Williams (Leroy) of Baltimore, MD. Three brothers: Hubert Stephenson (Louise) of Pendleton, NC; Joe Stephenson (Barbara) of Rocky Mount, NC and O’Neal Stephenson (Nettie) of Portsmouth, VA. He was preceded in death by brothers: Ulysses, Tragus and Robert Stephenson. Entombment Services will occur following the Memorial Service, at Greenlawn Memorial Gardens, Chesapeake, VA. I am so sorry to hear about the passing of Mr. Earl. I trust that God will comfort and keep you all during this time of transition. Lean and depend upon Him for strength today and in days to come. Please know that you are in our continued thoughts and prayers. May this family find additional comfort in knowing we are praying for you. It was a joy working with Mr. Stephenson at NADEP NORVA. He was well prepared for his task, faithful in his duties and always ready to assist others. May God continue to keep you all in His loving care. Mother Evelyn, Bert, and family. Larry and are sadden to hear of the passing of your dear brother and uncle. We know to be absent from the body is to be present with our Lord. Please know that our prayers and love ?will be with you and your family! !